Patrick (Paddy) Vincent Stokes was born in Braidwood, NSW, on 15 August 1884, the son of Patrick Stokes, a farmer, and his wife Bridget, née Daly. He was unmarried. Miss Cecilia Walsh acted as Lady Mayoress during his mayoralty. He died at Lewisham on 6 April 1945 and was buried at Rookwood Cemetery after a funeral ceremony at St Mary’s Catholic Cathedral. Paddy Stokes was educated at Braidwood public school. He obtained his engine-driver’s certificate in 1908 and became secretary of the Braidwood branch of the Federal Engine-Drivers’ and Firemen’s Association. He worked as an estate agent and auctioneer before becoming a hotel keeper. He was the publican of Foster’s Hotel in Sydney, 1929–33, the Family Hotel at Bega, 1934–35, and the Victoria Hotel at Canowindra. 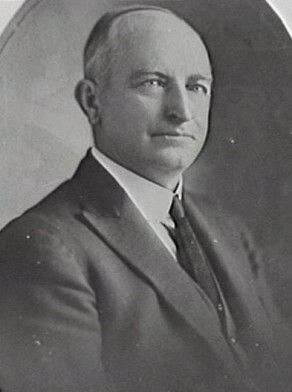 From 1922 to 1924 Stokes was a member of the central executive of the ALP and was a member of the federal executive in 1926. 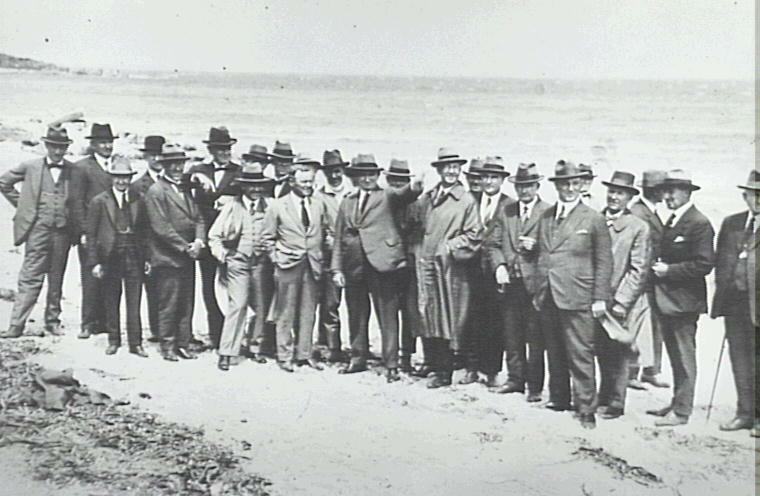 Stokes represented the Monaro region and was elected member of the Legislative Assembly for Goulburn from 30 May 1925 to 7 September1927. He was the Minister for Agriculture from May to October 1927. Paddy Stokes was elected Alderman for Belmore Ward, 2 December 1918 to 31 December 1927 and for Phillip Ward, 3 December 1934 to 6 April 1945. He was a member of the Health and By-Laws Committee, 1919-24 and 1936, the Electric Lighting Committee, 1919-20 and the Finance Committee, in 1921, 1927, and 1937-45. He belonged to the Electricity Supply Committee, 1922-24 and 1927, the Electricity Committee, 1935, and 1937-42, the Works Committee, 1935-36, the City Planning and Improvements Committee, 1936-44 and the Markets Special Committee, 1942-43. Stokes was Lord Mayor in 1925 and 1926. He was a member of the Australian Labor Party. Radi, Heather et al 1979, Biographical Register of the NSW Parliament 1901-70, ANU.